Seven Layer cake has always been one of my mom’s favorites. 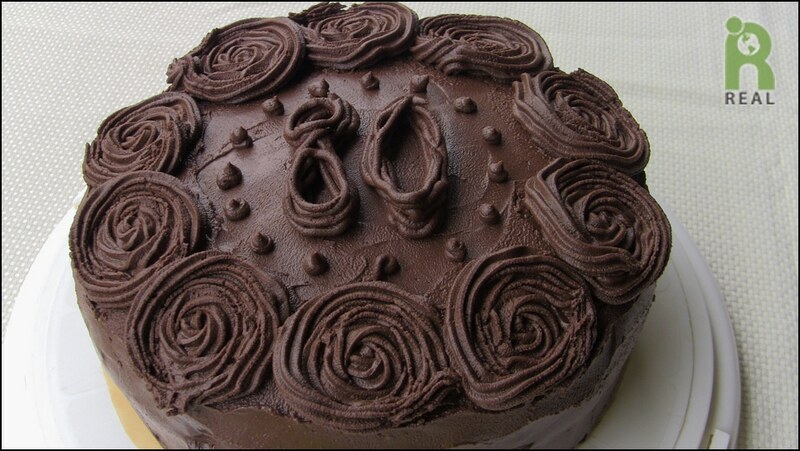 This is the cake I made for her 80th birthday party. She recently gave up dairy so this cake was especially perfect. Happy Birthday Mom! 1. Preheat oven to 350oF. Grease two 8 inch round cake pans, line bottom of pans with baking paper. 2. In a spice grinder, coffee mill or mini food processor, grind the flax seeds into a powder. Add the soy lecithin granules, if using and pulse to incorporate. 3. Pour the flax mixture into a small bowl and stir in the coconut oil, 1 cup water, vanilla extract, nondairy milk and vinegar. 4. In a large bowl, mix together all of the remaining dry ingredients. 5. Stir the wet ingredients into the dry and mix well, making a smooth batter. 6. Pour batter into cake pans, Bake for 45 minutes. 7. Remove cake from oven and allow to completely cool. Cake may be frosted once cool or wrapped and frozen until ready to use. 1. In a blender or mini chopper, blend tofu until creamy and smooth. 2. Place chocolate chips in a medium bowl set over a saucepan of barely simmering water. Pour hot water over chips, stirring occasionally until the chocolate melts and mixture is smooth. Stir in coconut milk and blended tofu until incorporated. In a large bowl beat together the vegan butter, and creamed coconut, cocoa power, vanilla and soy milk. Add in confectioners’ sugar 1/4 cup at a time and mix well. Mix in water, one tablespoon at a time until desired thickness is obtained. Cover and chill until read to use. 1. If frozen, allow cake to defrost, unwrapped. Remove frosting and filling from refrigerator and allow to soften. 2. With a large, serrated knife, carefully slice each layer into two thinner layers. 3. With a large spoon, stir up the frosting so that it is spreadable. A standing mixer or hand mixer can also be use to whip mixture. Repeat with the cream filling. 4. Spread a dab of frosting in center of a cardboard round cut slightly larger than a cake. Place one cake, centered, on the cardboard round. The frosting helps hold it in place. 5. Using an icing spatula of butter knife, spread 1/3 of the chocolate cream filling evenly onto the top of the first cake. Place the second layer on top and spread 1/3 of the chocolate cream filling evenly on top. Repeat with third layer. Top the third layer and filling with the last layer of cake. Cover top and sides of cake with the chocolate frosting. Decorate as desired. Refrigerate cake until ready to serve.